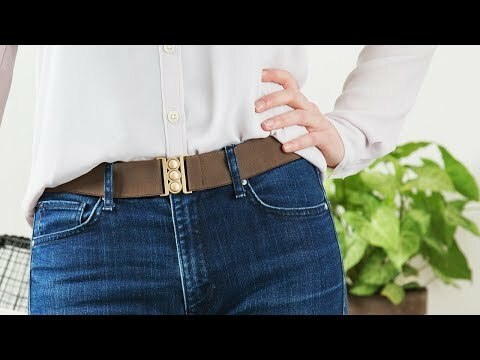 This unisex stretch belt is so slim it lies flat, closing the gap between your waistband and you. The size is adjustable and you can actually stick it in the wash if it gets dirty. It looks great, feels comfortable, and is easy to forget you have it on. You can even wear the belt through security because the hardware is made from no-beep recycled metal. Dimensions: 53" x 1.5" x 0.63"